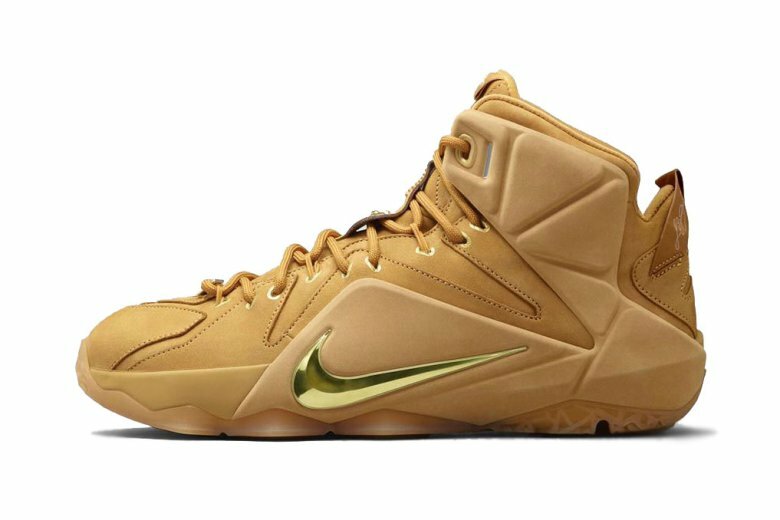 Nike is about to release its latest for the LeBron 12line that takes heavy influence from yesteryear’s Nike Zoom Generation “Wheat,” an offering from The King that tilted heads within the sneaker world back in 2004. In this latest lifestyle rendition, the LeBron 12 EXT model gets an all-over tan treatment reminiscent of the Timberland boots, with metallic gold accents found on the swoosh. The Nike LeBron 12 EXT “Wheat” in Wheat/Wheat-Metallic Gold is set to release on April 4 with a price tag of $250 USD.